Somewhere along the way, some marketing genius discovered how to convince people that purchasing containers and organizing products would magically cure their clutter problem. Well folks—this is a myth. 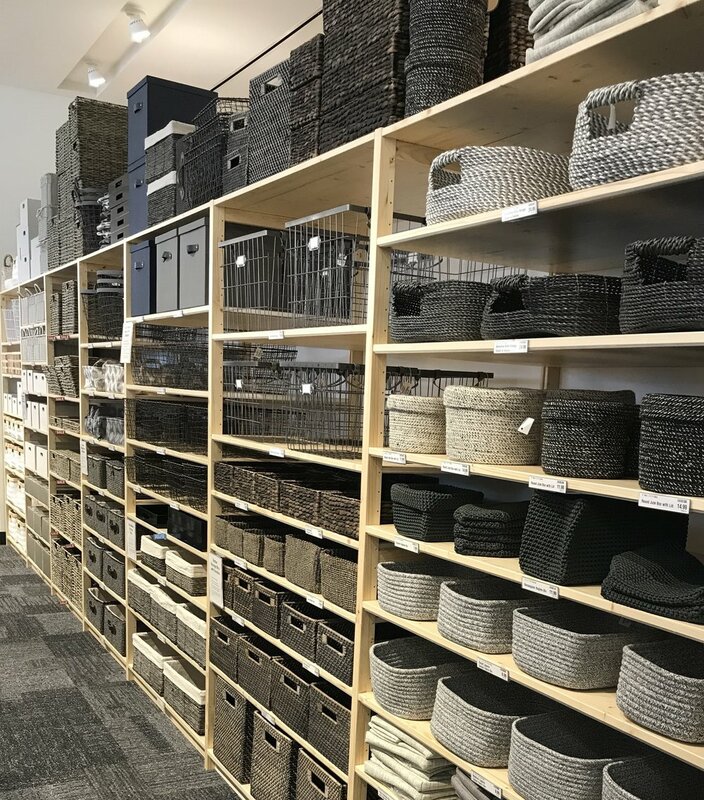 In fact, we’ve found that of all the homes we’ve been in over the past several years, it’s often the ones with the most baskets and bins and organizing products, that need the most help getting organized. It makes sense if you think about it— if you struggle with clutter or with letting things go, it’s easy to convince yourself that if you just had a “neat” way to store your items, it wouldn’t be an issue. When we go out and buy bins, it gives us permission to then fill them with items that we might not actually even need or want anymore, but because they are contained, it feels like organization. In the process of getting organized, purchasing containers is rarely where we begin. Most often the process of pulling out, sorting, and purging items informs whether you even need to go purchase containers to hold your stuff. You can have a room full of baskets, bins, crates, and totes and still have disorder and chaos. In fact, sometimes having all of those containers creates even more chaos than there would be without them. Organization is ALWAYS easier when you have less stuff to begin with. Items do not magically jump into crates once you buy them. Organization is about regularly purging and changing your habits. We would love to help you with the whole process from start to finish. Most importantly, we’d love to help create systems in your home that will make your life easier and your world less chaotic. Newer PostMerry Christmas and a great new way to begin 2019!